Woke up early this morning (for a Saturday) and drove out to Memorial Park. 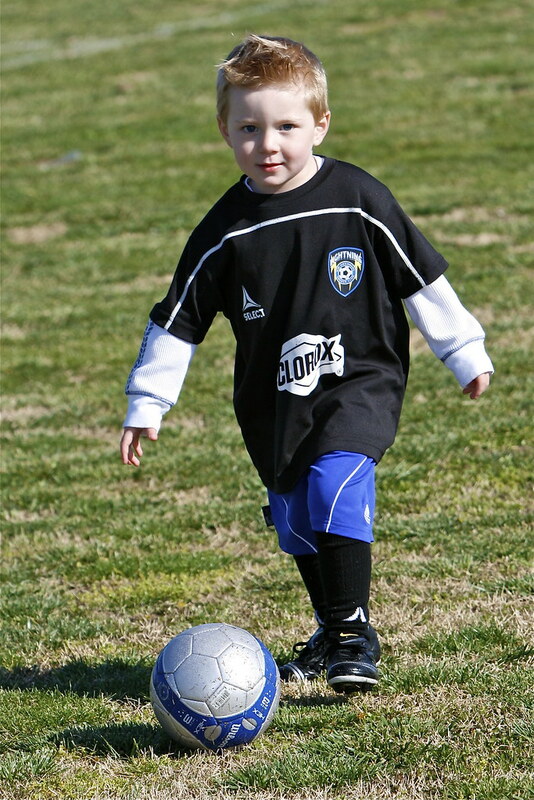 My friend Tom Ewart of NWA Photography had asked he to help him shoot some soccer photos. Team photos and individual uniform portraits of 4-year-olds. Loved it. Tom doesn't mess around. I'm used to shooting with above-average gear, always finding ways to pull off a "pro" look with not so much gear. Not Tom. He has the COOLEST gear. It's always nice when he asks me to work for him, because I get to pretend I'm in the Big Leagues (weak soccer pun). Met my Dad at McDonalds. Ever since I was about four years old, my brother, my Dad and I have always eaten lunch together every Saturday, at McDonalds. It's called "Men's Club", because we don't let my Mom tag along. She doesn't eat lunch on Saturday's, so it's all good. With Caleb and I being away at college, Men's Club has been a hit or miss event. Today Caleb was out cycling, so it was just me and Dad. Last week it was just Dad and Caleb. Caleb rode 75 miles on his bicycle today. 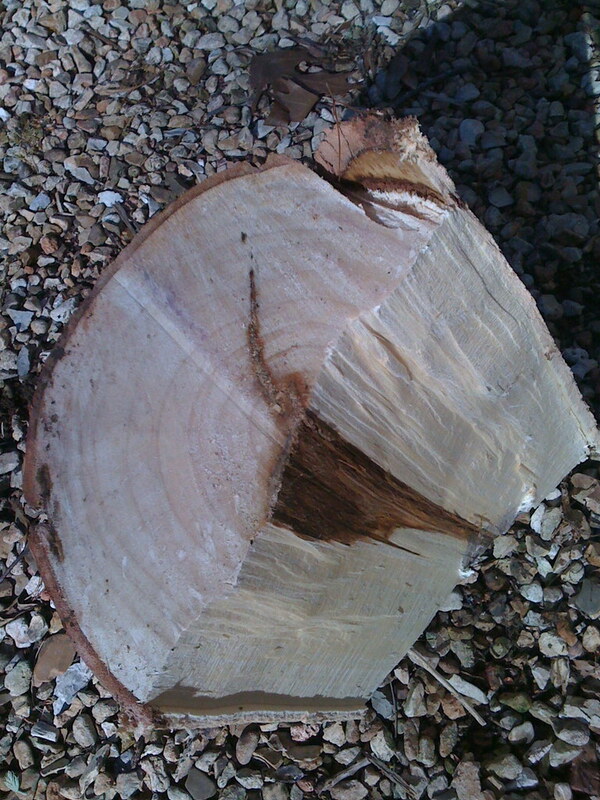 He came back and the three of us did a little wood splitting. The last storm here caused us to bring down our front tree, so we had some firewood looking at us. 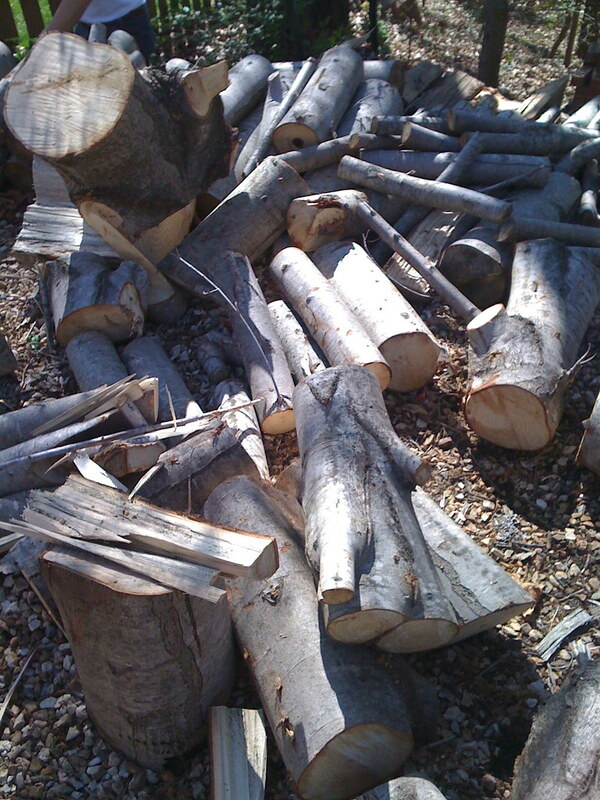 Caleb hauled all the logs down to the bottom of the driveway, where it all needed to be split sorted and stacked. I'm usually an embarrassment during this annual man event at our house. This year was different. Dad swung the sledge hammer, it slipped and slammed hard into his leg. He went down. Hard. He'll be fine. Caleb stepped up, swung the sledge and his hand split open from how strong he was. He was out. He'll be fine. Then I stepped up. Look out. Laid around the house the rest of the afternoon doing a little online shopping, and then headed over to the Elliott's for the hunt. Yep, a good day today.